Adds a bit of whimsy to your work day. There are times when writing code is drudgery. In those dark times, bathed in the soft glow of your monitor, engrossed in the rhythmic ticky tacka sound of of your keyboard, a few kind words can make a big difference. And who better to give you those kind words than your partner in crime - your editor. 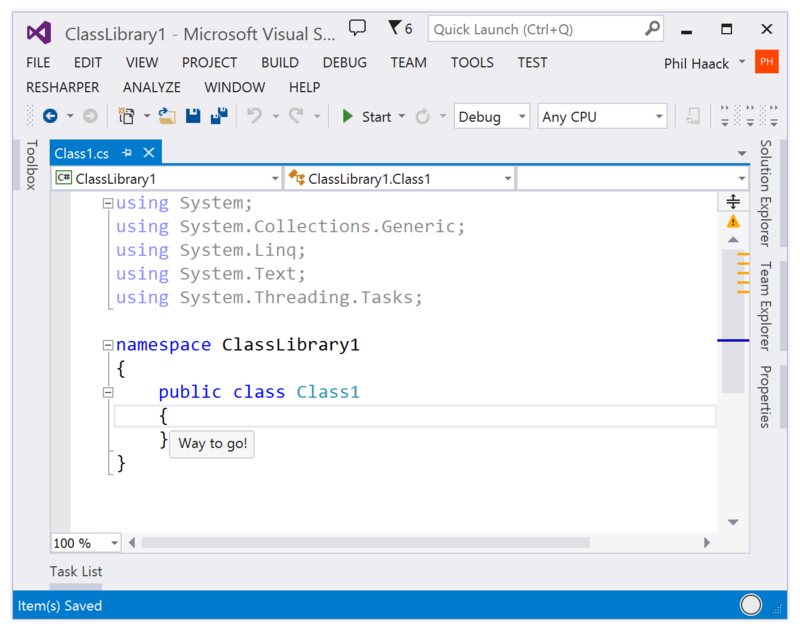 Encourage for Visual Studio is a whimsical extension to Visual Studio that adds just a little bit of encouragement throughout your day. Every time you save your document, this extension gives you an unobtrusive bit of good cheer and encouragement.